No matter whether you need just a little bit of help with a difficult repair job, or full-blown assistance with maintaining your property,with 1stCallHandyman you will be gaining access to the skills of an experienced industry veteran. Our team boasts highly skilled tradesmen located in Chester , each one of whom is a highly qualified maintenance technician with a broad skill set. We've been providing top home maintenance in Chester for many years, so we know everything there is to know about every kind of property repairs. 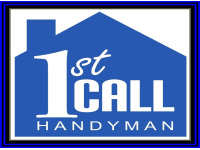 1stCallHandyman services are second to none. Every single one of our team members has a great range of talents and experience, as well as wide selection of top of the range tools and appliances. Every time you book 1stCallHandyman, you'll get a winning blend of experience, state-of-the-art equipment and complete dedication to customer service.